This Kent chandelier by Uttermost is just stunning. As Macy's says "Heavy metals bring a fashion-forward twist to lighting! 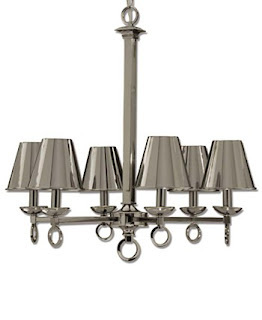 Six gleaming, black nickel-plated shades comprise the Kent chandelier from Uttermost with ring detailing for a look that's part craftsman-inspired, part contemporary chic." I couldn't have said it better myself, so I didn't. I will say that's on sale for $141.97 down from $470.00. Steal! This Bronze Beacon Lantern from Shadesoflight.com is on sale for $45, originally $185! 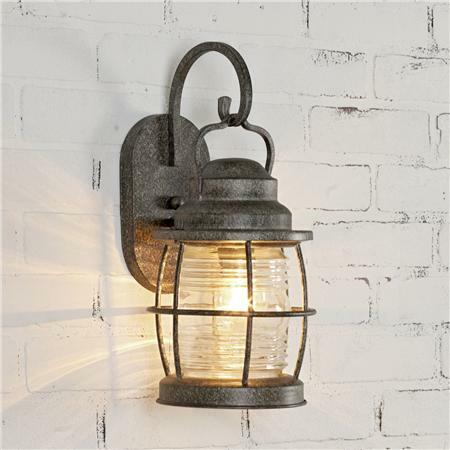 As the website so eloquently states this "steel lantern creates a sea-worthy beach appeal." I want one! Well I guess I'll finish it out with the metallic theme I have going here. 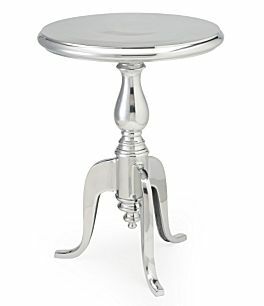 Check out this Blue Ridge Radiance aluminum table from Dillard's. The markdown percentage isn't near as high as the other two, but the original price wasn't too bad to begin with so I still wanted to list it. It was originally $155 and is now on sale for $115.99. This piece screams luxury. Or as Candice Olson would put it, "How Divine." I hope you all have a great weekend! I know I'll enjoy mine in sweet home Alabama.